Triaxia Partners® helps clients identify, ask, and answer their most important business questions. At its core, strategy is about making courageous choices — choices that rigorously focus on how your organization will create unique and sustainable value for the constituents you serve, including your customers, shareholders and staff… Click to learn more. Triaxia® helps clients to ascertain if teams are the best solution to achieving certain organizational objectives, and, if they are, we work with the organization to design the best team strategy (mission/team task, size, composition, success… Click to learn more. Leadership bench strength is one of the most important factors in achieving the strategic ambitions of any company. Yet, many senior management teams acknowledge their companies are experiencing a leadership shortfall… Click to learn more. Triaxia assists firms in adjusting the appropriate design elements to deliver the greatest business results by helping set up the internal structure for redesigning an organization, facilitating the design process… Click to learn more. 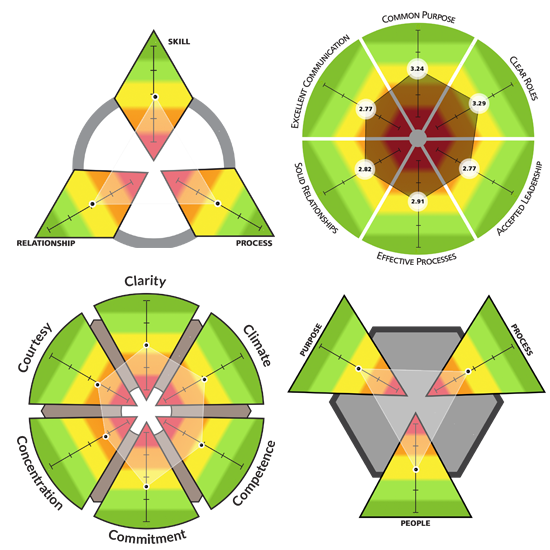 Team Diagnostics and Assessments that will take your team to a new level. The Team Resources® family of online team diagnostics provides clear, informative reports that reveal your team's greatest strengths and hidden weaknesses. Each topic includes questions designed to help your team understand their results and begin a dialog on how to improve their team dynamic. The Board Strength Survey is a robust and comprehensive online assessment that will highlight the path to increased governance effectiveness. 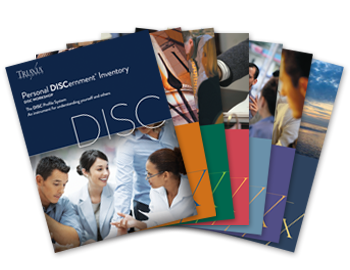 This unique educational instrument is based on the time-tested DISC theory that provides powerful insights into your work and social style. It will enable you to discover and define how you view yourself and how you want others to see you. And through that process, you will learn more about the real you - a person who might be slightly different than you thought. 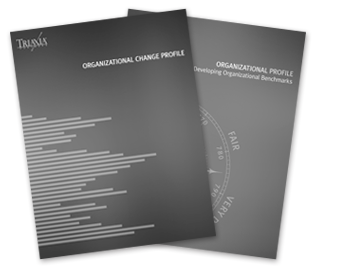 The Organizational Profile provides a customized, efficient, and cost-effective method to measure and evaluate the climate in your organization. The Organizational Change Profile helps clients to measure their culture and capabilities against the attributes of highly adaptive organizations allowing them to quickly identify areas that need to be strengthened in order to be more effective in changing environments. Drive executive performance and motivate change. 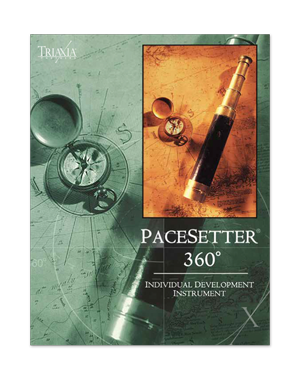 The PaceSetter 360° does exceptionally well in both areas. This site is owned and operated by Triaxia Partners®, Inc. All materials on this site as well as the graphics, backgrounds and contents of the site are the property of Triaxia Partners, Inc. unless otherwise specified. No material from this site may be copied, reproduced, republished, updated, posted, transmitted, or distributed in any way, except as otherwise stated or allowed. Please contact us at info@triaxiapartners.com for permissions. Unauthorized use and/or duplication of these images and materials without express and written permission from Triaxia Partners, Inc. is strictly prohibited. Excerpts and links may be used, provided that full and clear credit is given to Triaxia Partners, Inc. with appropriate and specific direction to the original content. © 1985, 2006, 2011, 2013-2016 Triaxia Partners, Inc.